A compendium of Factions, Locations and NPCs for your Players to contend with. 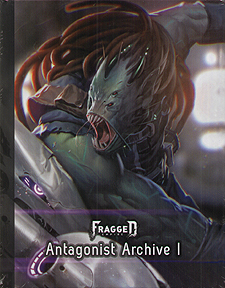 The Fragged Empire: Antagonist Archive 1 explores the darker corners of the Habrixis Sector and the Haven system. Including factions, locations, Mechonids, pirates, feral Nephilim and spacecraft write ups and stats.